Vietnam and Canada’s Quebec province hold special relations, but the two sides should further step up cooperation in specific areas to deepen these ties, a senior official has said. 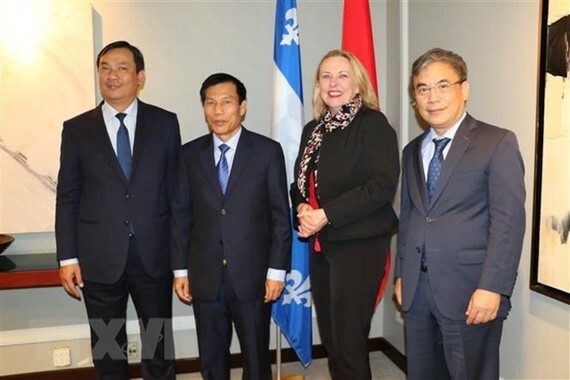 Vietnamese Minister of Culture, Sports and Tourism Nguyen Ngoc Thien made the remarks at a working session in Montreal city on September 14 with Quebec’s Minister of International Relations and La Francophonie Christine St-Pierre. At the meeting, the two officials discussed measures to boost bilateral collaboration in conformity with their real situation and demands. 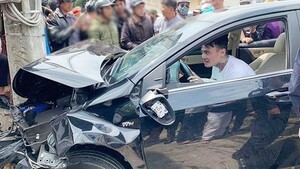 Thien expressed his hope that the two sides will step up cooperation in all fields, especially in culture through art and cinematographic exchange programmes, the joint participation in film festivals, and the sending of Vietnamese students majoring in culture to Quebec. Sharing the same view, St-Pierre said that Quebec is interested in cooperation in culture and museum and the province has recently issued a new policy related to culture. According to her, through this policy, Quebec not only wants to create a space for cultural activities, but also wants to expand a network of representative offices in other countries, including Vietnam. On the same day, Thien had a meeting with Chief Executive Officer of Bibliothèque et Archives nationales du Québec (BAnQ) Gean-Louis Roy to learn about BAnQ’s operation model and its experience in maintaining reading culture in the fourth industrial revolution. Roy shared that, to attract young people in the fourth industrial revolution, new technology should be applied in library and archives work and books suitable to their ages should be added.